Last November, Mondo released a trio of vinyl soundtracks and posters for Netflix’s Marvel television series – Daredevil, Jessica Jones and Luke Cage – featuring stunning artwork by Matthew Woodson. All three are now proudly in The Blot’s screen print collection! 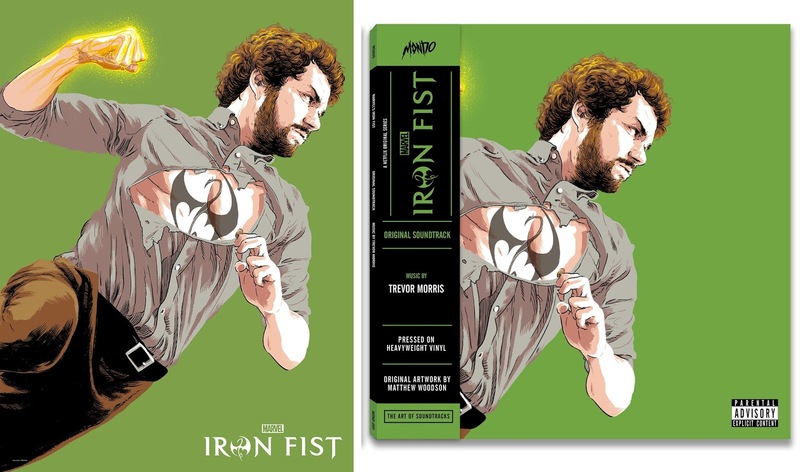 Now later today, Danny Rand joins their ranks with Mondo’s vinyl and poster release for Marvel’s Iron Fist! 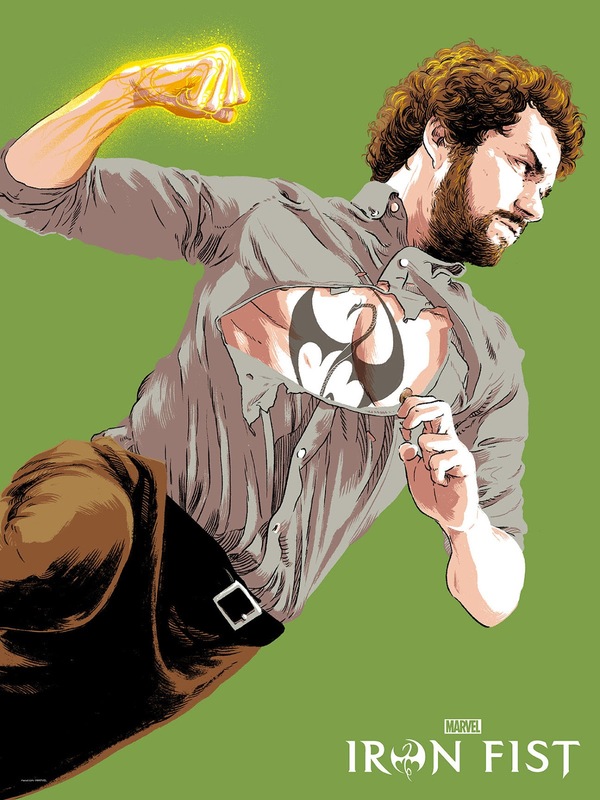 What a perfect way to commemorate today’s release of The Defenders on Netflix. Now if only we could get a team screen print too! Iron Fist by Matthew Woodson is an 18”x24” hand numbered screen print with spot varnish. Limited to 250 pieces, this poster will retail for $45. 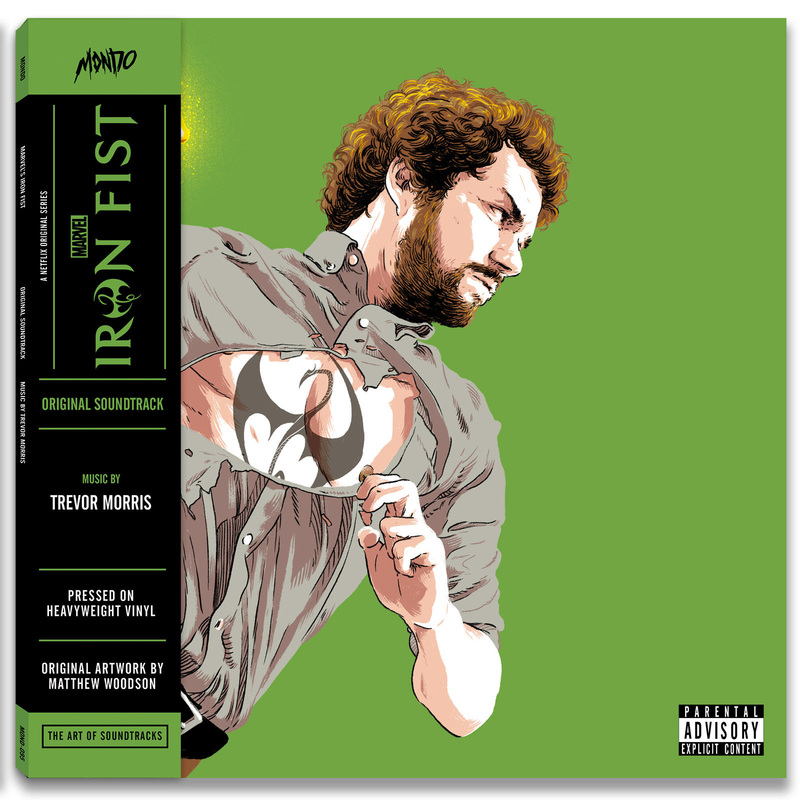 Marvel's Iron Fist Original Soundtrack LP ($25) features music by Trevor Morris, including “Come Down” by Anderson.Paak. The LPs cover artwork is by Matthew Woodson and was pressed on 180 gram green vinyl. It’s also available on 180 gram black vinyl. Both the Iron Fist soundtrack and screen print will go on sale at noon CST today, Friday, August 18th, at the Mondo online store.